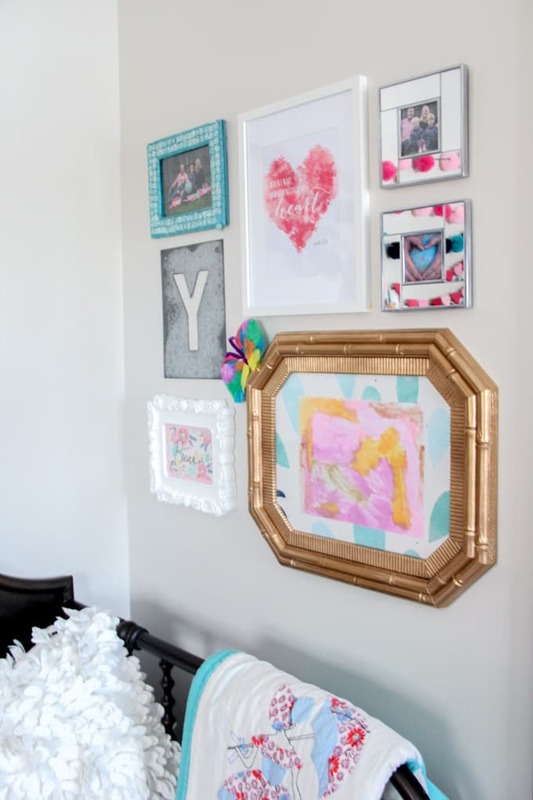 This gallery wall home hack is sure to have you hanging gallery wall frames with ease. Gallery walls are one of my favorite ways to fill a wall. As much as I LOVE the way that they look, I HATE hanging them. Often hanging art involves putting multiple holes in the wall until I get everything just right. After needing to patch TONS of holes in our last few houses, I decided to get smart about hanging gallery walls in this house. 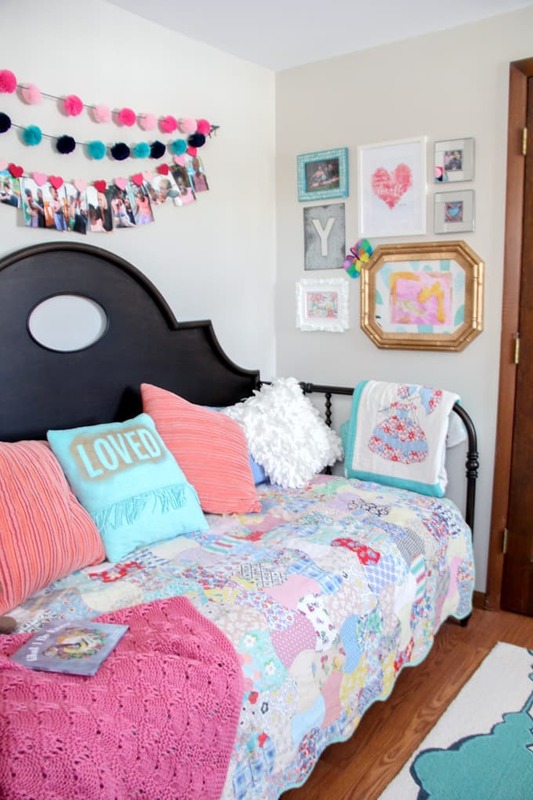 This gallery wall hanging hack works so well that I just had to share it with you. 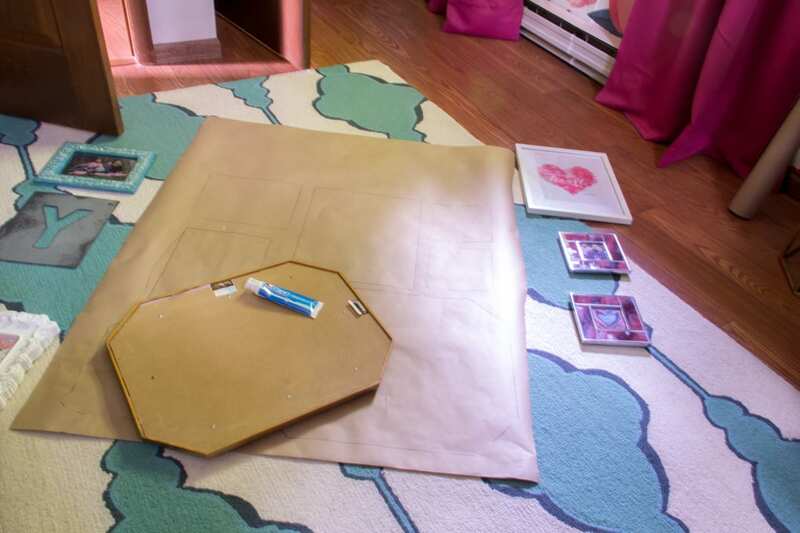 I start by cutting a piece of kraft paper to the size of the wall space that I’m looking to fill. Then I lay the pictures out in a good arrangement for the wall. This is where you have the opportunity to play around BEFORE putting any holes in the wall. Then I take a sharpie and trace around each frame. Once each shape has been traced I take a tube of toothpaste and put a dot on each picture’s hanger. After dabbing the toothpaste I lay each picture back down on the paper. 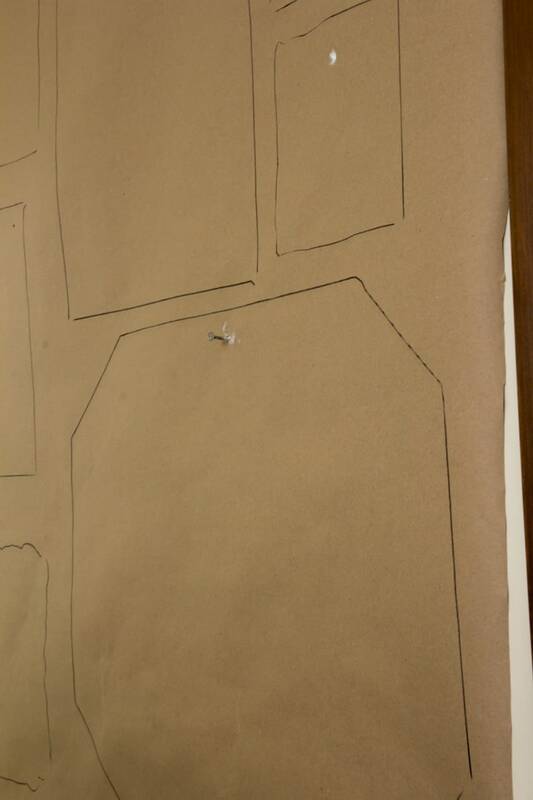 After each hanger has been marked, I tape the piece of kraft paper onto the wall. 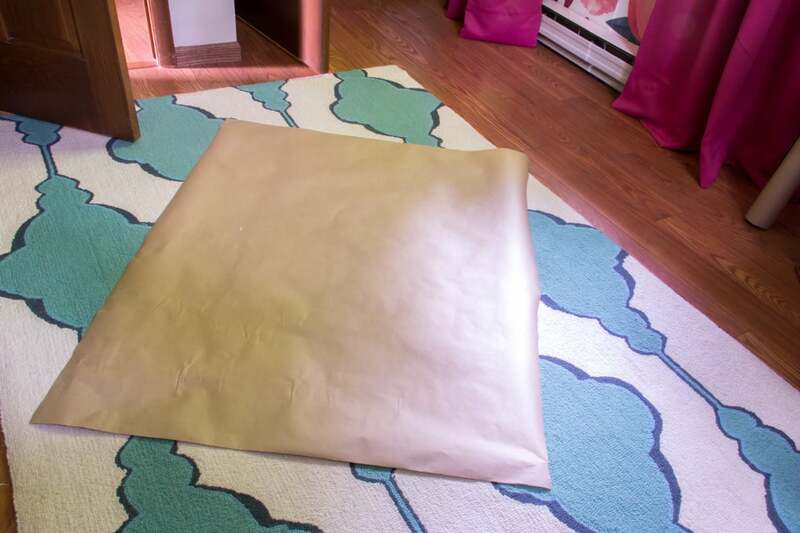 Upon hanging the paper on the wall I use my cell phone level to ensure that I’ve hung the kraft paper level! Did you know you that if you go to the compass app on an iPhone and swipe right you have a level as well?! This comes in handy ALL the time. Once the paper is up and level, then I hammer a nail through each of the toothpaste marks. 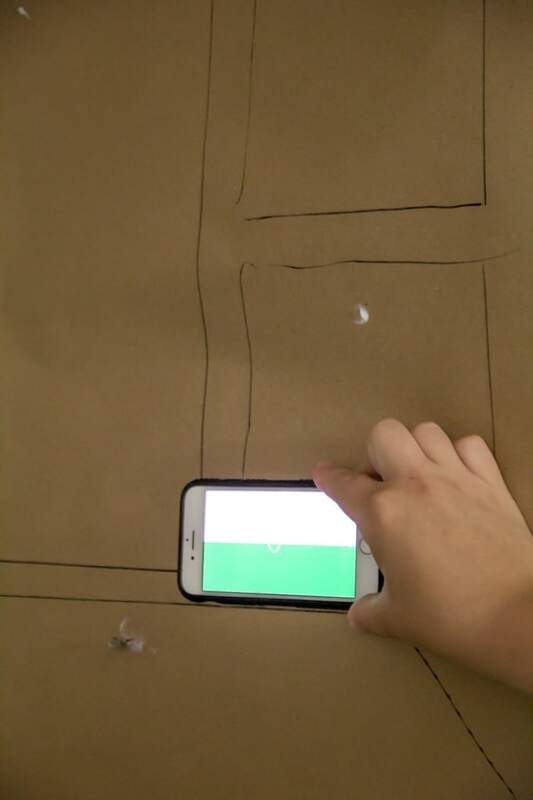 Once all of the nails are in, I pull the paper off the wall, leaving behind each of the perfectly placed nails. 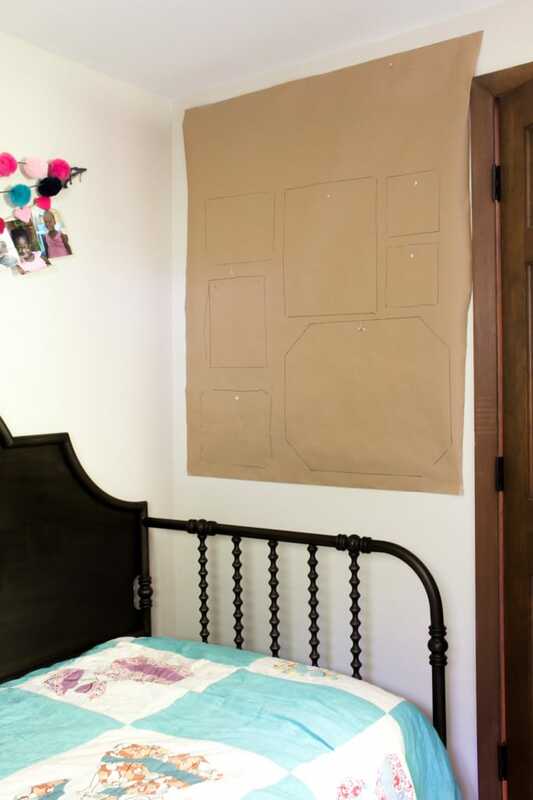 After removing the paper it’s then simple to hang each of your pictures without creating any unnecessary holes! If you like this gallery wall, you also might love some of these other art feature walls that I’ve hung in our past houses. Sadly, this was before creating this hack and often MANY extra nail holes were created when hanging these! 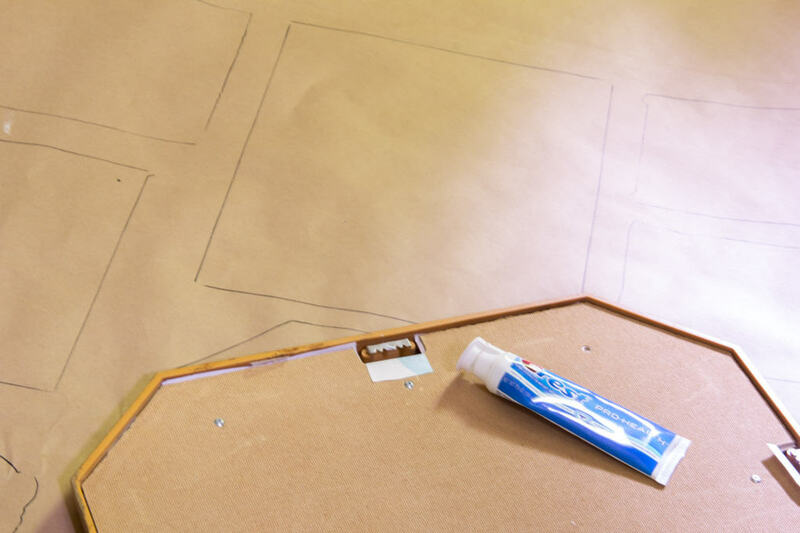 Even if you don’t use the toothpaste laying them out and tracing the frames is a great way to remember the arrangement and spacing! 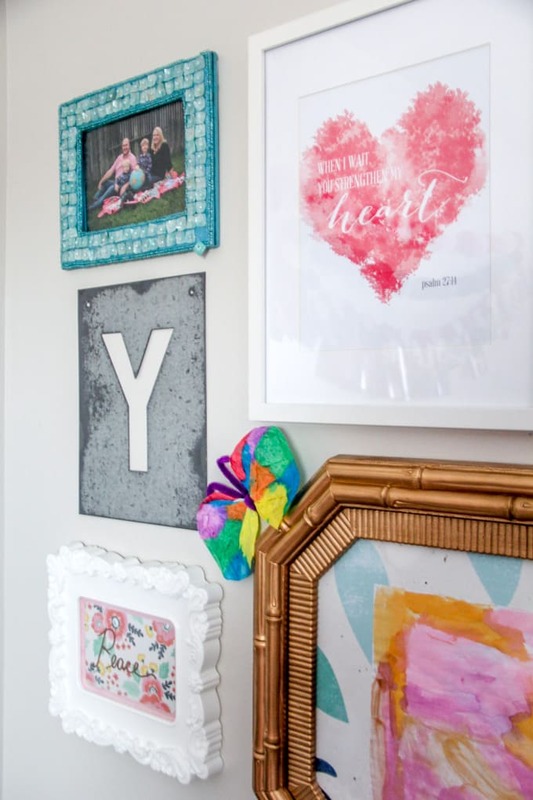 Hopefully this hack will help you to hang your next gallery wall with confidence! 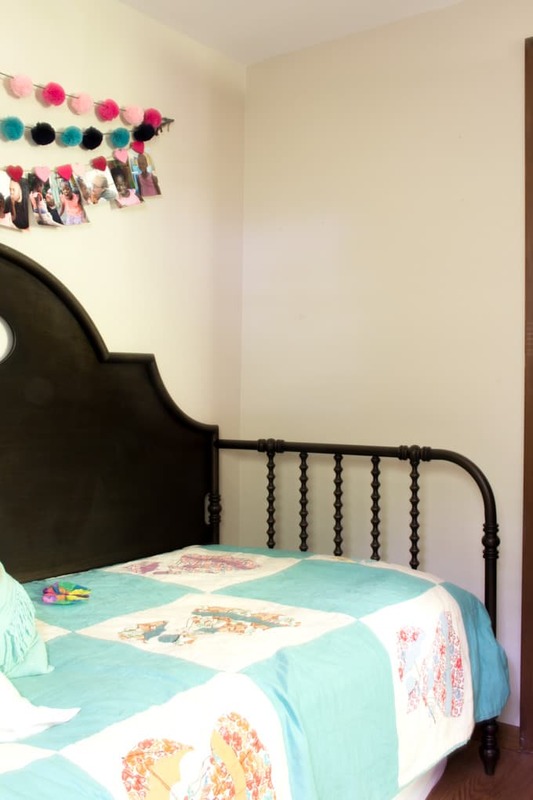 This home hack was brought to you by Two Men and a Truck. 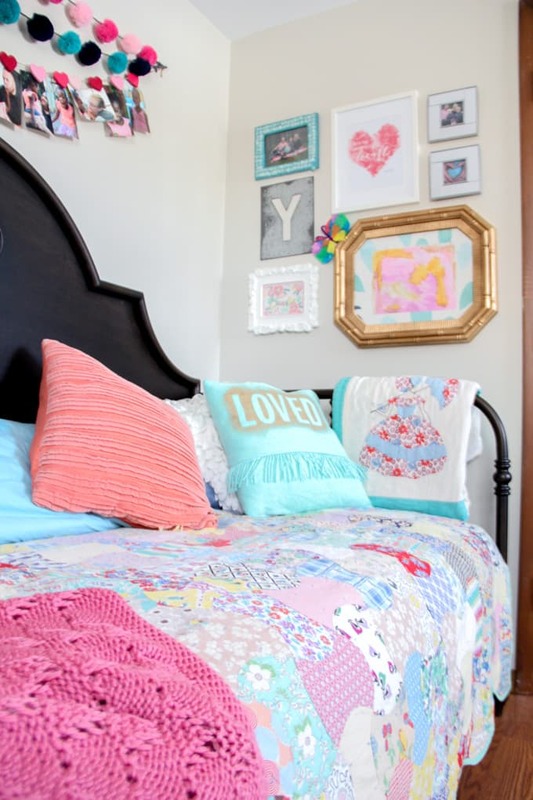 Currently they’re running an Instagram contest where anyone can share their home hacks by hash tagging #TMTHomeHacks for a chance to win a $500, $1000, or $1500 Lowe’s gift card! The contest is live now and runs until August 13th! Even if you don’t have a great hack to share, make sure you head over to their hashtag on Instagram for tons of great ideas!